In the retail world, shrinkage, or shrink, is the term used to describe a reduction in inventory due to shoplifting, employee theft, or other errors. The common misperception is that retailers absorb shrinkage as part of the cost of doing business. While retailers have to factor loss into their bottom lines, it's a costly problem for all. The average shrink percentage in the retail industry is about 2% of sales. While that may not sound like a lot, consider that shrinkage cost retailers more than $49 billion in losses in 2016, according to the ​National Retail Security Survey on retail theft. So if your retail store did $1M in sales with 50% gross margins, your shrinkage at just 2% cost you $10,000: That's significant. There are four major sources of inventory shrinkage in retail: employee theft, shoplifting, paperwork errors, and supplier fraud. And there's also a fifth category of shrinkage, which encompasses all the unknown reasons for loss. This is simply the bucket for all the other "mysterious" reasons you have shrinkage that may not be identifiable to you in your store. According to the National Retail Security Survey, the number one source of shrinkage for a retail business is shoplifting. Customer theft occurs through concealment, altering or swapping price tags, or transfer from one container to another. 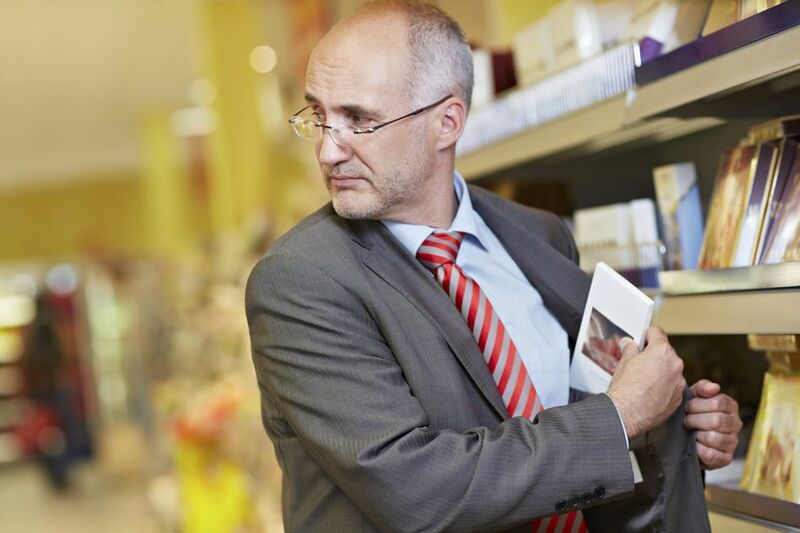 Shoplifting used to be the second-most common reason for inventory loss source, behind employee theft, but recently moved into the dubious number one spot. Stealing by shoppers continues to cost retailers billions of dollars every year. In 2014, it accounted for 38 percent of retailers' shrinkage. Security measures such as cameras and digitized tags that set off alarms have helped reduce the losses, but this is still a tough area for retailers to handle. Coming in at a close second to shoplifting in the shrinkage department is internal or employee theft. This can happen when company workers steal or misappropriate funds or goods. Some of the types of employee theft include discount abuse, refund abuse, and even credit card abuse. Unfortunately, this is one loss prevention area that generally doesn't receive as much monitoring as customer theft, even though 34.5 percent of shrinkage in 2014 was due to employee theft. Checking employees' personal bags and belongings before they exit the store is one way to combat theft, but searching and monitoring workers is not the best way to build morale. It's a difficult problem for retailers to deal with effectively. Another place to check is the cash drawer. If the drawer was supposed to have $200 after the day's sales, but actually had $205, an employee could have put $5 in her pocket and marked the drawer as balanced. Administrative and paperwork errors make up approximately 16 percent of shrinkage. Simple pricing mistakes due to markups or markdowns can cost retailers quite a bit, so it's crucial to have good protections in place, and use simple, easy-to-understand accounting systems and programs. A solid practice of cycle counting your inventory can have a huge impact here as well. Many errors in the POS system can be uncovered with this practice before the inventory is sold and it becomes shrinkage. The smallest percentage of shrink is vendor fraud, which is responsible for about 7 percent of shrinkage. Retailers report vendor fraud occurs most when outside vendors come into a store to stock inventory. For example, convenience stores inventories are checked and monitored by the vendor. Whether it's failing to provide as many units as invoiced, or stealing of other products, vendor fraud can cut into a retailer's bottom line. The smallest and perhaps most frustrating segment of retail shrinkage is chalked up to unknown causes, according to the National Retail Security Survey. Roughly 6 percent of all losses are not able to be accounted for under any of the other categories. They are simply mysteries.